A part of the novelty of this approach is that it draws on the work of Russian psychologist Lev Vygotsky (1896-1934), and extends his “cognitive tools” for use in daily literacy instruction. What are “cognitive tools”? The short answer is that they are features of our minds that shape the ways we make sense of the world around us; the richer the cognitive toolkit we accumulate, the better the sense we make. The particular tools we pick up influence our interpretations of the world around us, just as lenses influence what our eyes see. The lenses or cognitive tools “mediate” how we can see and make sense of things. If we want to understand how and what we can learn, then, we should focus our attention on those cognitive tools. Our educational challenge is how to stimulate, use, and develop these tools to enhance students’ understanding and their literacy skills—and that’s what this website aims to show you how to do. 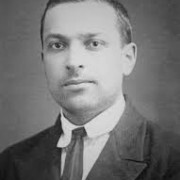 Vygotsky’s work suggests a new approach to teaching literacy because of his fundamentally different way of describing how human beings develop intellectually. For a fuller description click here. The third foundation is the work of the Imaginative Education Research Group. This group came into formation with the beginning of the 21st century, and has quickly developed an international reputation for its innovative, practical, and successful programs. Their focus has been to show how the emotions and imagination of learners have to be engaged for learning to be effective and efficient, and they have shown great versatility in designing techniques and methods for enabling teachers to routinely engage students in these richly evocative ways. This program in imaginative literacy instruction is the newest of their initiatives. You can find further material, and many more examples of lesson and units plans, on their website, at http://www.ierg.net.This third foundation is described in detail in Kieran Egan’s book The Educated Mind: How cognitive tools shape our understanding (University of Chicago Press). So what are these cognitive tools and what do they do for us? There is a short answer to this and a longer answer. The longer answer can be found by clicking here . The short answer is that cognitive tools are the things that enable our brains to do cultural work. Our brains, like those of any animal, are responsible for enabling us to do bodily and social work. But we have also amassed that external symbolic material that constitutes our literacy and culture. As we learn features of our cultural inheritance, the brain is provided with the tools that enable it to realize various of its capacities. Alone, no one learns to speak, to read and write, or to think with theoretic abstractions. These potentials of human brains are actualized only by the brain learning, and learning to use, particular pieces from our symbolic cultural storehouse. Culture, as it were, programs the brain. It is simplistic to push the analogy of brain as computer and culture as operating systems and programs, but the analogy is helpful in so far as it locates a significant part of our minds in that culture material. We use set of “cognitive tools,” or “tools of imaginative engagement” (Mark Fettes’s useful descriptor), in the rest of this site, and particularly in the Teacher Resources section. Those cognitive tools are most prominently used by children between the ages of 3 through 7. We suggest an age range because different children in different circumstances differ in (a) the time it takes, (b) the degree of fluency, and (c) the control they develop in using these tools. • the sense of wonder––can capture the imagination in the worlds, both real and fictional, that literacy opens up; and some others. * Bruner, Jerome. (1988). Discussion. Yale Journal of Criticism, 2(1).